The Food and Drug Administration on Wednesday proposed requiring mammogram providers to notify women with dense breasts about how the condition could affect the accuracy of their mammograms and recommend they talk with their doctors about whether they should have additional tests to check for cancer. The issue has become increasingly important amid findings that dense breasts raise a woman’s risk of developing breast cancer. It also can make it harder for health care providers to see malignancies on mammograms. Three dozen states already have laws involving breast-density notifications but the new FDA language would establish a minimum standard that would apply nationwide. The proposal would update regulations issued under the 1992 Mammography Quality Standards Act, which authorized federal oversight of the more than 8,000 mammography facilities in the U.S. Those rules involve the accreditation of the facilities, as well as annual inspections and enforcement of mammography quality rules. 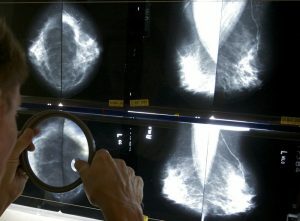 The proposal would modernize the agency’s oversight of mammography services “by capitalizing on a number of important advances in mammography, like the increased use of 3-D digital screening tools and the need for more uniform breast density reporting,” FDA Commissioner Scott Gottlieb said in a statement. In addition, the changes would allow the FDA to directly notify patients and their health care providers if a facility did not meet quality standards and a repeat test might be needed, the agency said. The topic of breast density has generated keen interest on Capitol Hill. Nancy Cappello, who led the push for legislation to provide women with more information about breast density, died in November 2018 of complications from cancer treatment. She founded the advocacy group, Are You Dense? and was considered the founder of a movement to educate women about breast density.